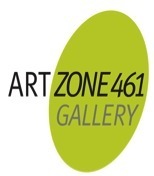 ArtZone 461 Gallery is pleased to announce an exciting summer lineup celebrating ArtZone’s Fourth Anniversary and in recognition of the Fortieth Anniversary of the Charles Campbell Gallery, its heritage location. A fantastic selection of new and recent works by Gallery Artists are in the main space. The side gallery introduces paintings by Sonja Navin, one of the winners of ArtZone’s first juried competition seeking California realists. ArtZone 461 Gallery owners Steven Lopez and Eric Koehler are pleased with four years on Valencia St. and proud of their heritage as the Campbell Gallery that opened 40 years ago. 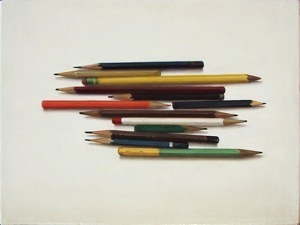 The Smithsonian Institute’s Archives of American Art houses the Campbell Gallery records. 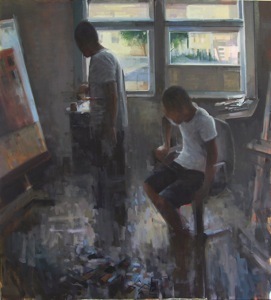 It is recognized for the depth and breadth of artists exhibited, including most of the important and historic Bay Area artists: Park, Bischoff, Diebenkorn, Weeks, Joan and Theo Brown, Wonner, Lobdell, Thiebaud and the opening exhibit in 1972 of Nathan Oliveira paintings. These are some of the artists included in the ‘back room’ Campbell Gallery at 40 selection. Several posters, catalogs, miscellaneous works and ephemera from Campbell Gallery will be available. ArtZone continues to exhibit several artists who were with the Campbell Gallery, along with a whole new stable of local, San Francisco and Bay Area artists, mainly oil painters. Over 28,000 guests have visited since opening and several gallery artists have participated in gallery and museum exhibitions worldwide. Long term gallery artists in this Four-year Anniversary show include Adam Cahoon, Nicholas Coley, Jane Fisher, Eileen Moderbacher, Gage Opdenbrouw and Jeong-Im Yi. Some of the fresh talent consists of Randy Beckelheimer, Dale Erickson, José Ramón Lerma, Heidi McDowell, Ryan M. Reynolds, Terry Thompson and Stan Washburn. These two different shows-in-one, may be seen as a continuum of a focus on bay area artists as well as a mainly figurative concentration. Charles Campbell opened a frame shop The Louvre, and sold art supplies starting in 1947 at 719-a Chestnut Street. The San Francisco Art Institute is at 800 Chestnut. Campbell met and befriended students and teachers and began putting on art shows as early as 1950. Steven Lopez went to work for Charles Campbell in 2002; became his partner in 2004 and in 2007 became owner of the Gallery. When Campbell retired Lopez retained the business and, with his Domestic Partner Eric Koehler, opened ArtZone 461 Gallery in June 2008. We are proud of our heritage and pleased to have hosted over 28,000 visitors. 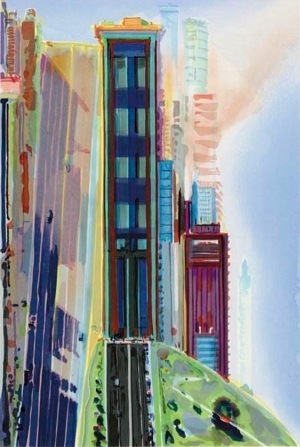 We are also proud to exclusively exhibit work by Local San Francisco and Bay Area artists. We sincerely appreciate our artists, clients and friends for all your past and future support. THANK YOU !! 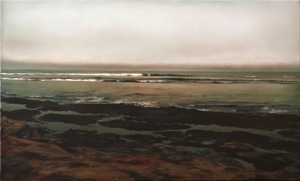 2012, oil on canvas, 36"x 60"